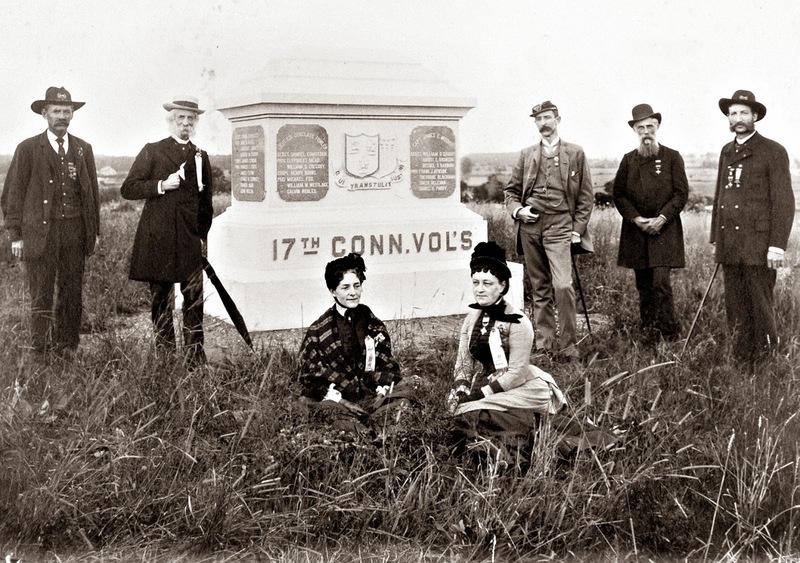 (2nd from left), veteran and chairman of 7th Connecticut monument committee Henry Allen (third from right), Col.. Noble's daughter Henrietta appears in the foreground, left of Mr. Allen's wife. The others are not identified. Photo from John Banks blog. Banks is author of "Hidden History of Connecticut Union Soldiers"
See Civil War related "Quote of the Day" scheduled to post at 5:30.